Graceful circus artists who overcome the limits of gravity and make one look at the abilities of a human with different eyes. The most powerful comics that make one laugh to tears. Exclusive concerts and DJ sets – each of them an event. Fine modern dance shows that liberate and inspire. 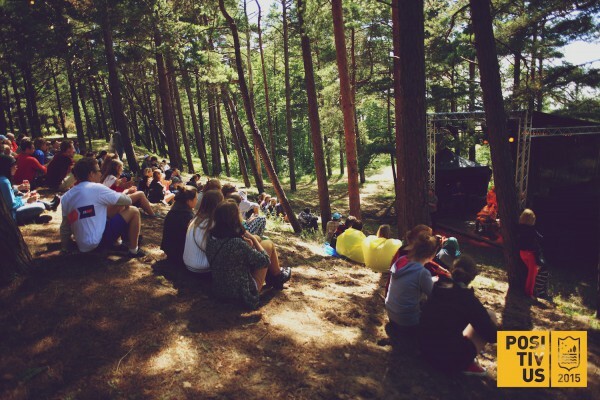 This year’s Nature Stage at the Positivus Festival will offer a very magnificent program: in the seashore dunes, among the pine trees, a different world will be created, with acrobats and dancers meeting, with piano sounds and electronic sounds, with art getting a space the best suited for it. For three days, the Nature Stage will offer a rich program that will be appreciated by all the gourmets of culture and modern trends. During the Festival, the Nature Stage will be the centre for creation, wonders and unprecedented feelings. The Positivus Circus on the Nature Stage will bring about peculiar emotions – a circus is not only tired, powdered clowns with red noses and tamed animals; a modern circus is a form of modern art that reveals the unlimited human abilities. Air acrobats and fire artists, jugglery and manipulations with various objects, artists who seamlessly turn into animals... Circus artists from several countries will show their skills and perform master classes on the Nature Stage. The miracles of dance will be revealed in Kristīne Vismane's dance show Catch Me and the I-Dance dance classes, inter alia daily morning yoga on the beach. Several improvisation theatre collectives and individual comics with already popular stand-up shows will improvise, stir laughter, and romp about. ImproZoo, Prieka Ministrija, Artišoks and the Rīga Improvisation Theatre will perform crazy, laughter provoking shows, and it is highly possible that also the audience will be involved in them. Comedians from Comedy Latvia and Comedy Estonia will offer one-man stand-ups. The musical entertainment will be taken care of by already well-known musicians and also musicians that are in their early career stage. As announced before, an exclusive piano concert, with the accompaniment of the pine trees and the sea, will be performed by director Vladislavs Nastaševs. Edgars Eihmanis and Edgars Rubenis from the band Mona de Bo, together with jazz pianist Rūdolfs Macats, will create the atmosphere for the film of 1913 Where is the Justice? The Tragedy of the Jewish Student. Young singers MNTHA and PYØR, the band Sus Dungo, who have a new album out, young bard Kristaps Bedrītis, the projects Mionia and Waterflow will deliver their performances filled with sensations. Experimental sound projections will be introduced by UBIsound and Kashuks, and exclusive DJ sets will be performed by Alise Ģelze, the project Tīrkultūra and VADi, and many others. The etheric atmosphere will be stirred up by the nutter rock from the legendary cult band Sūdi, who have already performed at Positivus and have been well-received. Till the Festival, more acts on the six Positivus stages and the Ādažu čipsu Cinema Tent program will be announced. The main partner of the Festival is Lattelecom, which offers the only TV channel devoted to the Festival in Europe, 360TV Positivus, and provides modern technologies at the venue. The Festival us supported by Nordea and Tuborg. The latest news of the Festival can be heard on Radio SWF, the official radio of the Positivus Festival. Tastes to the Cinema Tent will be provided by Ādažu čipsi.